For those who embark on a Silversea cruise there will inevitably be the offer of Silversea Cruise Travel Insurance. Please do not accept the Silversea cover that is offered without carefully reviewing alternatives. We found Silversea Cruise Insurance to be very expensive, and yet offer incredibly poor levels of cover. We were particularly disappointed with the level of Travel Medical Insurance and Emergency Evacuation Cover. Silversea Medical Insurance of only $10k is woeful, and their Emergency Evacuation cover of $50k is not much better. At AardvarkCompare we recommend no less than $100k of Travel Medical Insurance, and at least $100k of Emergency Evacuation Protection. For those travelers who are heading into more remote areas of the world, or who are traveling offshore (as is the case with most cruise customers), then $250k of Emergency Medical Evacuation protection is our recommendation. Given that there is such a mismatch between Silversea Cruise Insurance cover and our recommended levels, an insurance comparison makes sense. You will probably find, as we did, that when you compare the cost of Silversea Insurance it will be more expensive than alternative cruise travel insurances that also have much better protection levels. 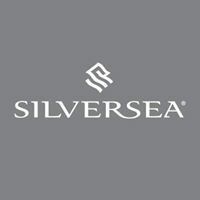 Silversea Cruises is one of the world’s leading ultra-luxury cruise lines. Based out of Monaco, for 30 years Silversea has helped define luxury cruising. The acquisition of Silversea by Royal Caribbean in 2018 only helped bolster the financial resources of Silversea, as it expands its all-suite vessel fleet. We reviewed a wonderful trip – the Silversea Caribbean & Central America Cruise on the Silver Spirit. Our total price was $9,000 for a Classic Veranda Suite, and a further $900 for our Silversea Cruise Travel Insurance. At 10% of the price of the cruise itself, this is a very expensive trip insurance policy. When comparing travel insurance, we would normally expect to see a cost in the range of 4%-8% of total trip price, with the higher costs for the most comprehensive of policies. When we review Silversea Cruise Travel Insurance we note that its trip insurance cover is underwritten by Arch Insurance Company. We are a huge fan of Arch Insurance. They are one of the leading Travel Insurance Carriers in the USA, and have a history of offering excellent service to customers. Moreover, Silversea Worldwide Travellers’ Assistance is provided by AXA Assistance USA. AXA Assistance is a global leader in the provision of emergency assistance. 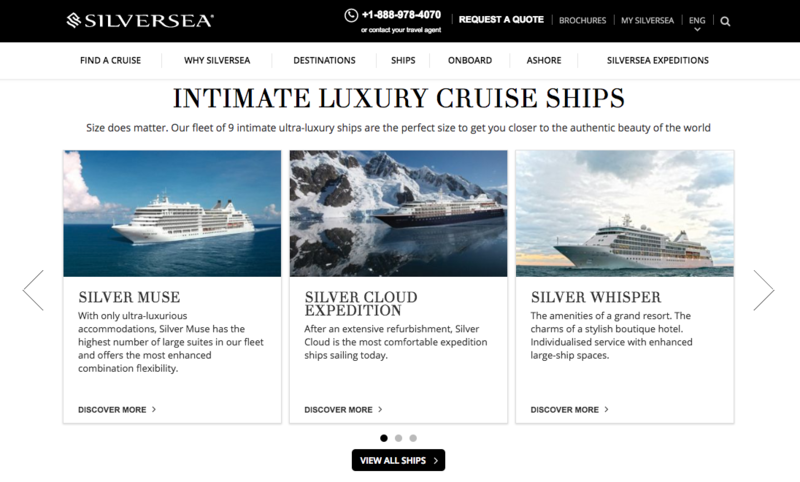 In other words, Silversea is working with first-class companies. Unfortunately, the critical cover that is provided is insufficient. 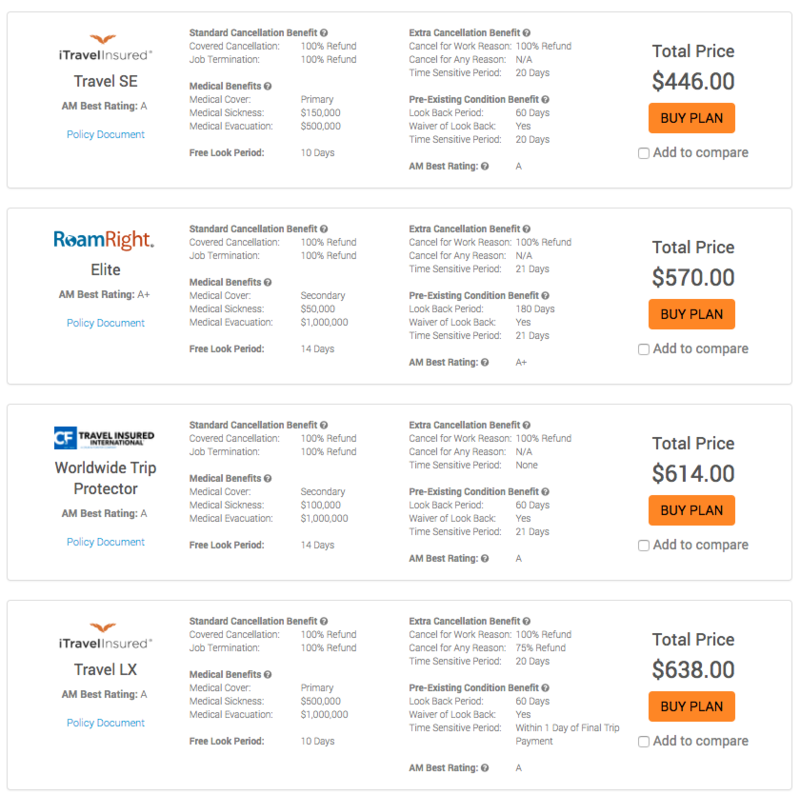 Maximum Limit (Per Person) – Prices shown are in U.S. dollars. Waiver is provided assuming that travel insurance is fully paid for no later than final trip payment date. 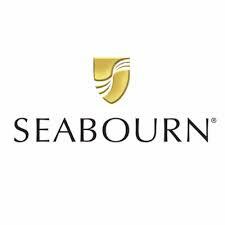 Trip Cancellation and Interruption benefits are capped at $70k per guest, $140k per single suite occupancy on the World Cruise, and $50k / $100k on all other cruises. Our job at AardvarkCompare is relatively simple. We compare travel insurance from the leading carriers in the USA, and then make policy recommendations. The travel insurance prices you see with us are the same as if you went to each any every insurance carrier direct. You cannot buy the same travel insurance at a lower price – we guarantee this. When we run the Silversea Cruise through our system, we get immediate results showing just how expensive the Silversea Insurance really is. Remember, the Silversea Cruise Insurance was priced at $900 for our couple. 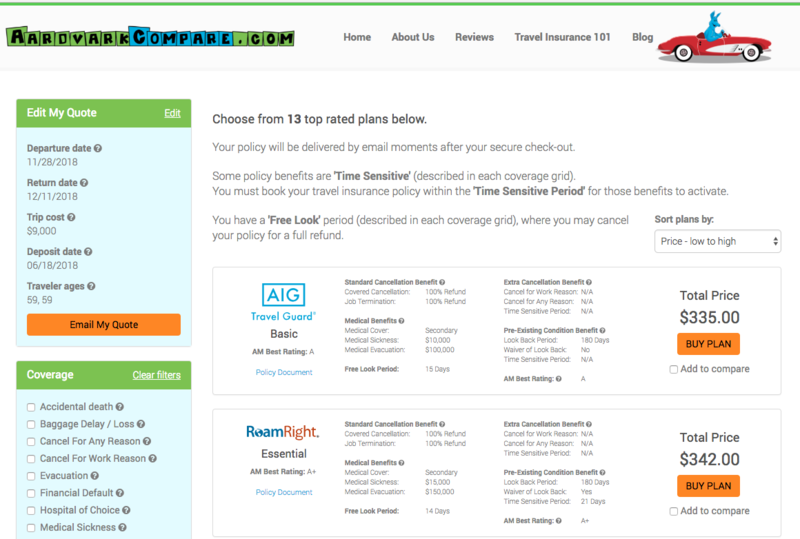 The least expensive option from AardvarkCompare, with comparable medical, evacuation, and waiver benefits, is the RoamRight Essential Plan, at only $342. In other words, Silversea Cruise Travel Insurance cover is approximately 250% more expensive than a plan with similar critical cover. However, we recommend cover levels much higher than Silversea Insurance offers. Recall our minimum levels of cover. Given these minimum recommended levels of cover, we need to look at more expensive policies. Below you can see four plans that, again, offer much better value than Silversea. 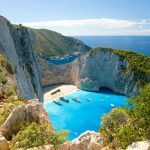 The iTravelInsured Travel SE stands out from this list. At $446, it is half the price of Silversea Cruise Insurance. Yet, it has a benefit level that is superior to the Silversea plan in almost every regard. Where the Silversea plan is superior is in terms of baggage protection benefits. We spend a good deal of our time making recommendations on trip insurance based on the destination of our travelers. Most of our customers are heading overseas. For those who stay within the USA, travel medical insurance is of less concern. Almost all will have their own comprehensive medical insurance that supports them wherever they travel in the USA. However, international travel is different. The vast majority of the medical insurance plans that we come across do not offer support for travelers when they leave the USA. Medicare is a perfect example – there is no cover at all for overseas trips. Those who have certain Medigap cover may find that they have limited overseas cover. But, at the time of writing, that Medigap International Insurance is only $50k in lifetime cover, with a 20% co-pay and $250 deductible. This is simply not enough for us to be comfortable with. International private hospitals can charge $3k-$4k per day. $100k of Medical Insurance cover is the absolute minimum that we are comfortable recommending, either for our customers or our own families. The $10k of medical insurance cover that Silversea Cruise Insurance provides is simply nowhere near the levels of protection that give comfort. Oftentimes it is necessary to medically evacuate a patient to an advanced medical facility. Whilst this can often be carried out without spending tens of thousands of dollars, there are times where helicopter and private jets are required, with on-board teams of medical personnel. The costs associated with such medical evacuations can be breathtaking. We recommend no less than $100k of Medical Evacuation cover for those who are traveling internationally. If traveling offshore or in a more remote part of the world, we increase our recommended level of medical evacuation cover to $250k. 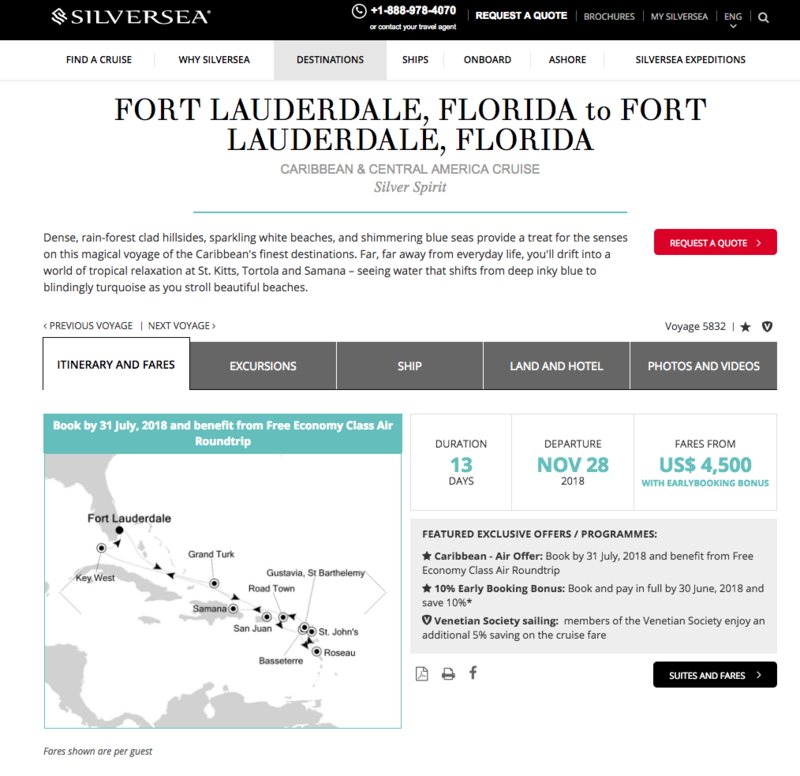 Silversea cover offers $50k in evacuation benefit. This is not a terrible level of protection, but we cannot recommend it. Travel insurers are fairly generous in their view of what constitutes a pre-existing medical condition, and only exclude very recent medical issues. 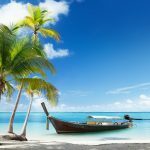 Even those recent medical conditions that would ordinarily be excluded from cover in a typical travel insurance policy can be brought back into cover with the issue of an Exclusion Waiver. A Medical Waiver is normally obtained simply by purchasing travel insurance promptly after an initial trip deposit or payment – generally within 20 days. 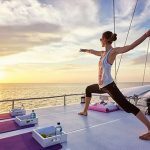 Some policies, such as the Silversea Cruise Travel Insurance, will provide the medical waiver provided that the travel insurance is bought prior to the last trip payment. Some terminology to be familiar with. The Look-Back Period in a travel insurance policy refers to the number of days prior to purchase of the policy. In many cases, this is only 60 days. The travel insurer cares whether there have been any new or changed medical conditions or prescriptions within the last 60 days. If there have been, these conditions are normally excluded from cover (remember we can get them covered with a medical waiver, so do not worry). Older, stable medical conditions, that most of us live with on a daily basis, are covered anyway. So, the most flexible, beneficial, trip insurance policies have short look-back periods. 60 days is the best we see on a regular basis. This is a period of days, normally around 20, after any trip deposit or payment is made. During this period of time, if a travel insurance policy is purchased, and there is a medical waiver incorporated in the policy, then the Medical Waiver will be automatically activated. There are numerous benefits when a customer chooses to buy travel insurance early. The grant of a medical waiver is one of them. Silversea Cruise Insurance incorporates an unusual time-sensitive provision. Silversea requires that its insurance be purchased prior to the final cruise payment. In many respects this is a more generous provision for a customer. We see this on policies such as the iTravelInsured Travel LX, which we will discuss a little later. 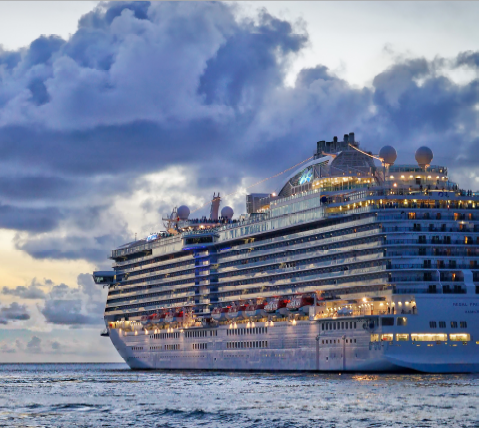 Most customers book their cruises a long time in advance. 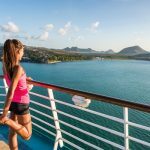 Whilst every travel insurance will have provision for cover in the event of sickness or injury, a few offer the option for a customer to cancel their cruise, without needing a reason, and still receive a 75% refund. (3) Sickness or Injury of the Business Partner must be so disabling as to reasonably cause the Insured to cancel or interrupt the Trip to assume daily management of the business. Such disability must be certified by a Physician. Involuntary employer termination or layoff of You or a Traveling Companion. Typically, employment must have been with the same employer for at least one continuous year. Note that some policies require three years of continuous employment. Policies like the iTravelInsured Travel LX offer Cancel for Any Reason protection. All that is required is that a customer buys travel insurance within the time-sensitive period of 20 days. The traveler must insure their entire non-refundable trip costs. In the event that they wish to take advantage of the Cancel for Any Reason cover, the traveler must cancel their trip at least 48 hours prior to planned departure. A 75% refund will then be paid. Think of Cancel for Any Reason as a back-up to the regular 100% cancellation for sickness or injury. We find this cover to be particularly helpful for those people who need to have the maximum amount of booking flexibility. Note that the iTI Travel LX incorporates benefit levels that are far in excess of the Silversea Cruise Insurance, yet costs 50% less. Silversea Cruise Travel Insurance is expensive, with limited cover in critical areas. Take the time to compare travel insurance cover levels and prices in order to make an informed decision. Do so swiftly after your initial trip deposit so as to gain the maximum benefits from the policy – both in terms of cancellation benefits and medical benefits. What Is Driveway to Driveway Travel Insurance?